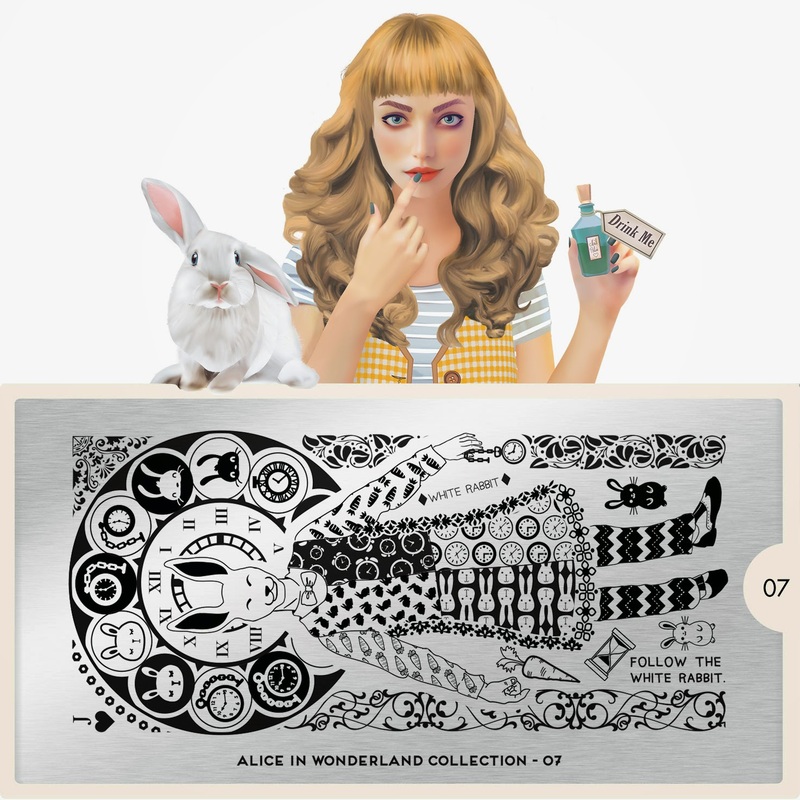 Lacquer Lockdown: Hot Off The Stamping Press: MoYou London Alice In Wonderland Nail Art Stamping Plate Collection Expansion! 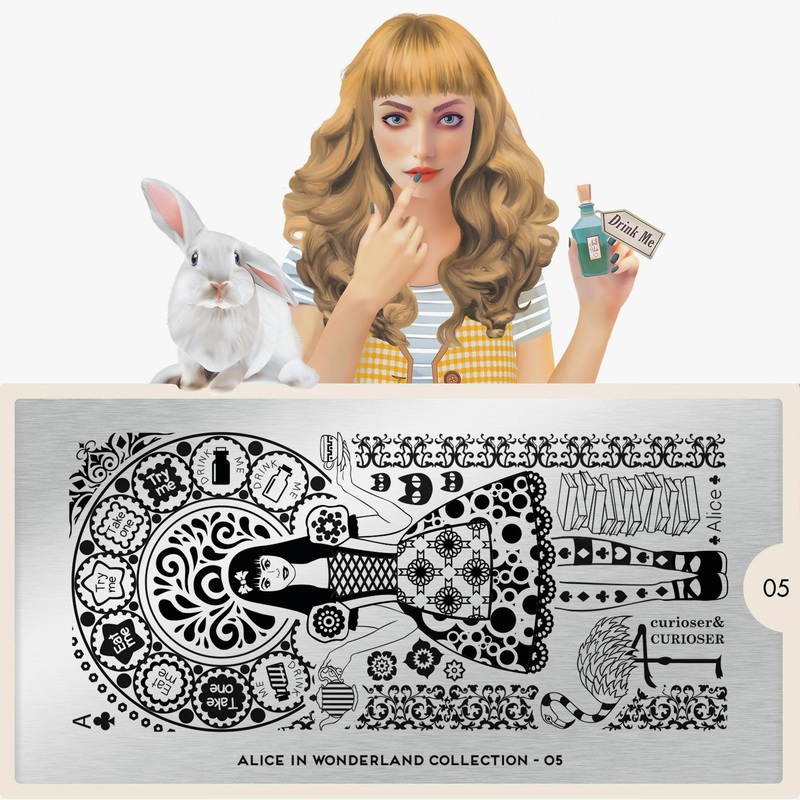 Hot Off The Stamping Press: MoYou London Alice In Wonderland Nail Art Stamping Plate Collection Expansion! You've seen Alice before. 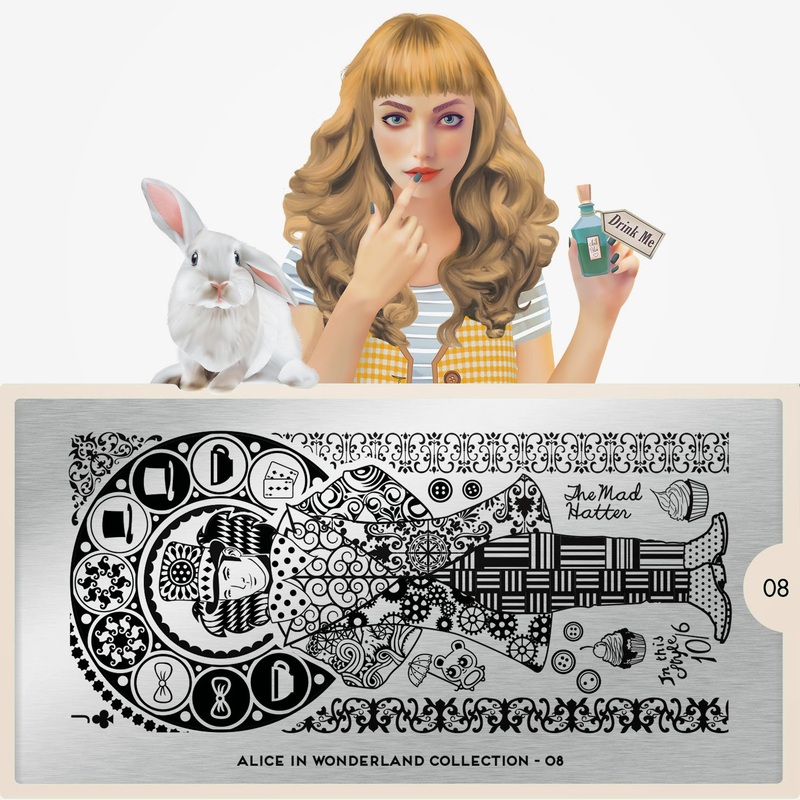 I actually think they did a really great job designed this Mascot as a modern Alice bangs and all! You guys already know I love the landscape plates MoYou London designs. It's their strength and sometimes to be frank they can rescue some collections from seeming mediocre. 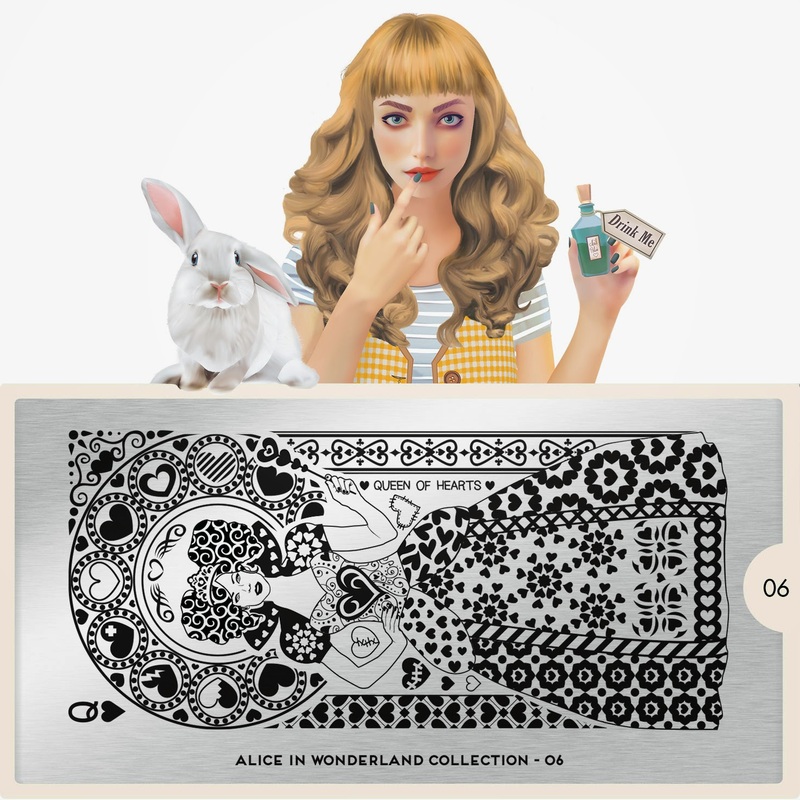 Last week I had a mixed feeling about these plates being overly cartoonish and not really on par with what I expected of an Alice and Wonderland Collection. This week unfortunately I feel the same. I think visually and aesthetically these landscape plates are GORGEOUS. My problem lies in what images will become when broken apart as a whole. Of 4 plates releasing Friday This plate and the one above are my favorites in terms of creating functional and beautiful patters although broken down on an individual basis as opposed to the overall visual effect of the landscape plate don't don't feel all that Alice in Wonderland inspired to me. Beautiful plate for the Queen of Hearts but where is her catch phrase of "Off with their heads!" or even "All ways are MY ways." Lol again beautiful but if you broke up this plate to the individual designs that would stamp onto each nail it looses the effect of AiW. This one is totally cartoonish like the plates from last week. It's not really my favorite and I wish the phase here was "I'm late, I'm late for a very important date." Cute but nothing I have to absolutely have. Love the scrollwork on the edges though! Better. I like this plate I think the individual designs from his coat and pants would be cool, but I'm not getting the feel of AiW with any of the singular images except the ones that surround his head at the top.